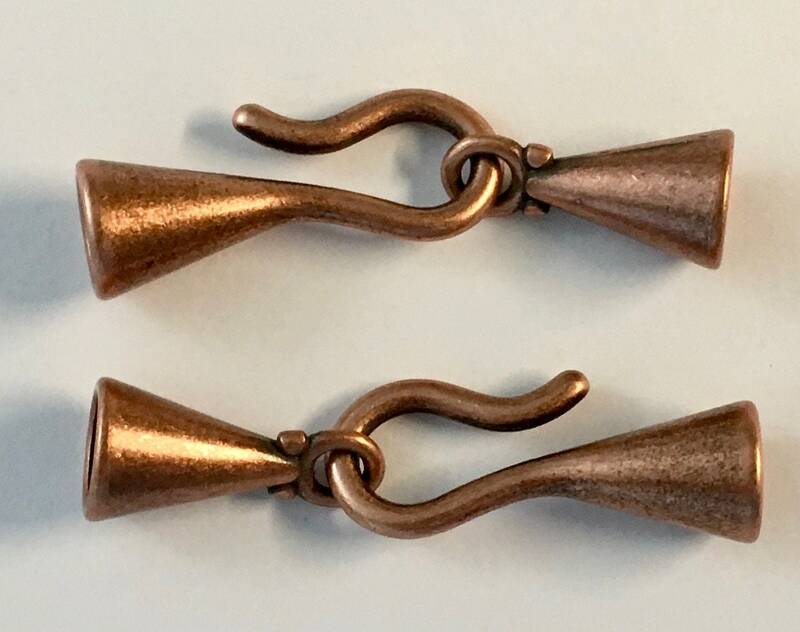 2 sets of sleek antique copper plated hook and eye glue in end caps. These are great for kumihimo fiber arts or for thicker cords. These are brass based with an antique copper plate. Inside diameter measures 6.2mm. I bought three different items from this seller for a creative friend in Florida who makes one of a kind jewelry. She's delighted by the clasps especially, which I guess is a hard to find item. The other pieces I just took a chance on and she seemed more than pleased with the surprise. I know she especially likes this vendor, and I'm happy to support any endeavor that results in my getting the occasional surprise of a finished item in the mail.